Künst Kids Present: Hair Me Out! 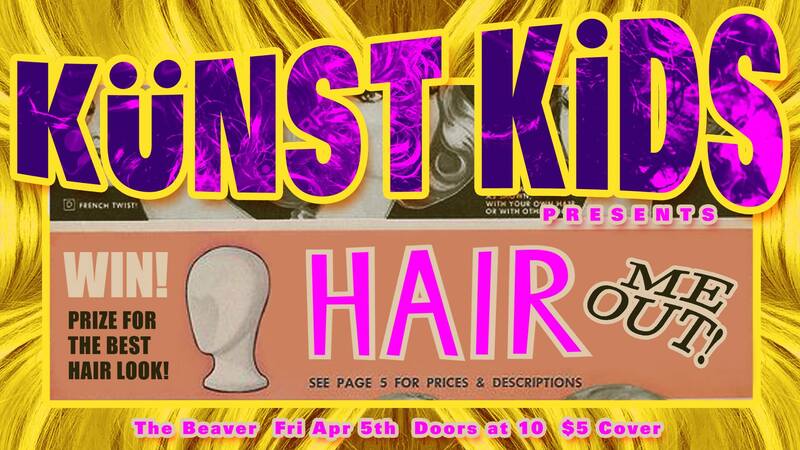 Next month Künst Kids present HAIR ME OUT! Everything hair, the bigger the better. Join us and show us what you got! As always, Künst Kids runway competition is in full effect~!!! Show us your best look and walk the runway to win an incredible prize!